With over four decades’ experience across industry verticals, Shankar Ram has established himself in the finance and audit sectors. Aside from serving at the top rungs of the corporate ladder across renowned companies in India (Ashok Leyland, Ennore Foundries, Ashok Leyland Finance, Macneil & Magor) and in the Middle East (The Bahwans Group in Oman), his expertise spans training and education as well, having served as faculty at the ICWA. A rank holding Chartered and Cost Accountant, with a keen desire to teach and train, Shankar Ram is excited about changing the face of the test-prep landscape in India. 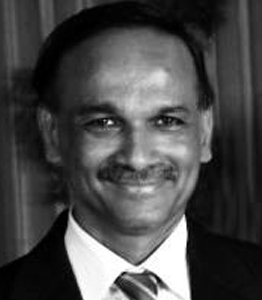 Ganesh Vaideeswaran brings a wealth of experience amassed over 25 years across varied industries around the world. He has a string of qualifications – CPA, CMA, CIA from the USA, to his credit and over 12 years experience in the education industry, as dedicated faculty of international accountancy courses. His current focus is on gathering the best of resources to structure the most customized and pertinent courses at GMA. V Venkataraman (known as VV) is a Fellow Member of the Institute of Chartered Accountants of India (All India First rank in CA in Intermediate, 26th rank in the final), ICMA (UK). With over four decades of varied experience in Finance, Tax, Audit and Management, VV was with OMZEST Group at Muscat for over 30 years in different positions (last as Director, Audit). He has been on the Boards of various companies representing the Group and Chairman of Audit Committee in two of them. VV was a part time teacher for CA, ICWA and MBA students; former examiner for CA; Coordinator and Faculty for Finance module in the Omzest Group’s young Management Trainee program. VV was the Chairman, Waljat College for Applied Sciences, Vice-Chairman and Finance Director – Board for Indian Schools in Oman; Member – School Management Committee, Indian School – Al Ghubra, Muscat. He is the author of the ‘Audit Committee Hand Book’ published by Tata-McGraw Hill and co-author of ‘Contemporary Internal Auditing and Information Systems Auditing’ published by Wolters Kluwer. 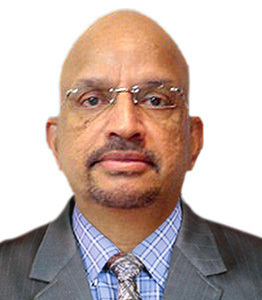 A Chartered Accountant with over 35 years of international experience, R Vaikunth retired in May 2012 as Managing Director-Commercial of the prestigious Saud Bahwan Group, which is an established presence in diverse industrial sectors in Oman. R Vaikunth had a prominent role in building the group to this level as is evident from a statement from an article about him in ‘Y’ magazine which stated that he was “driven by one singular emotion: Passion; passion to succeed; passion to excel; passion to be numero uno in every aspect of life, business or pleasure”. In addition, he is also a former Board Member of the Indian Schools in Oman.